The Law and Health Initiative Legal Empowerment Series is comprised of five short videos that illustrate the Open Society Foundations-supported legal empowerment models that result in improved access to health care in various countries. 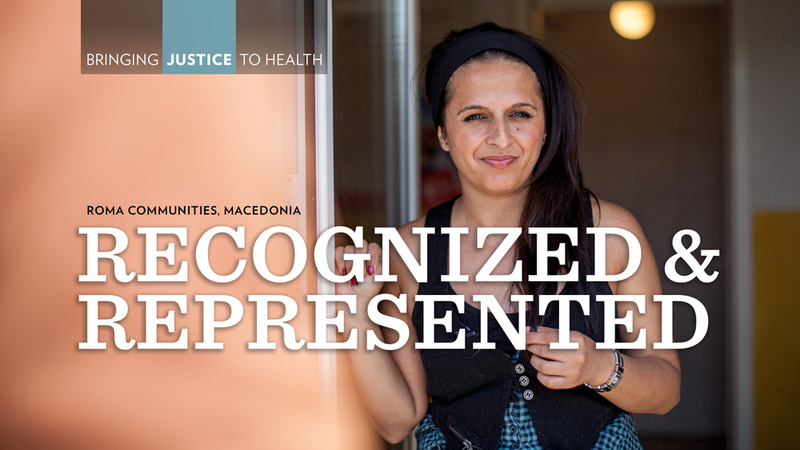 The video series highlights a program in Kenya that provides palliative care and end-of-life legal services; grassroots paralegal training in HIV-related law in rural Uganda; health care access in Macedonia to marginalized Roma communities; and the dissemination of legal advice through an online and offline network of paralegals to combat repressive drug policies in Russia. "I presented Andrew with an insurmountable task: take five different stories that are loosely connected by a vague concept, dealing with highly sensitive topics and marginalized groups, filmed by different videographers and heavily reliant on still photos, in a half-dozen languages, and create a consistent series that highlights the nuances of each individual story aimed at a very specific audience of funders and experts. He tackled the project with confidence, giving us creative direction, and with a deep respect for all of the people featured in the stories. He is one of the most collaborative and talented editors I've worked with. Despite the complexity of the project, he kept us on schedule. He brought his unique creative style to the stories, skillfully transitioning from moving to still images, while keeping to heart of each person's story. Andrew was an essential part of this project and was critical to its success in communicating these issues to an important audience." 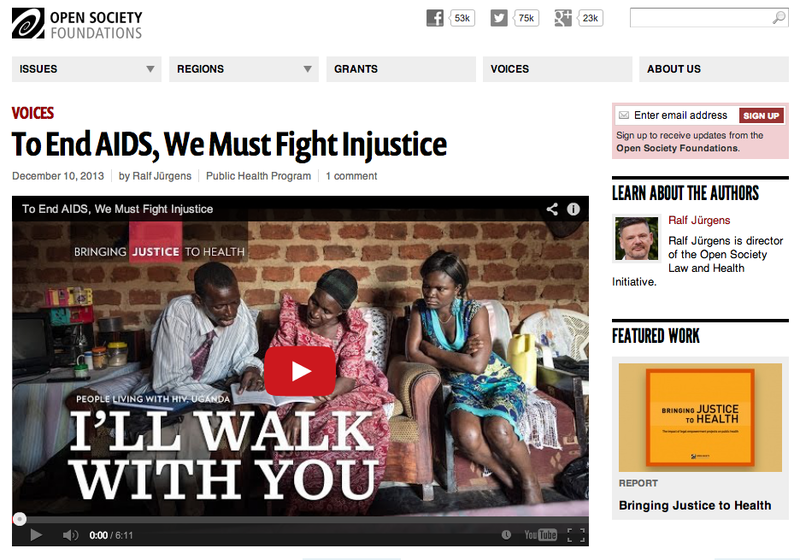 The Public Health Program, a department of the Open Society Foundations, wanted a series of four videos to showcase the legal empowerment models that four grantees of their Law and Health Initiative developed, and how they impact public health in various countries. The videos would be presented at a conference in Nairobi, Kenya to an audience of health and rights funders. The videos would also be published over the course of a month as part of a campaign on the Public Health Programs' web and social media platforms. This was the Law and Health Initiative's first campaign to incorporate visual storytelling into their marketing and communications strategy. The result was a five-part video series of six-minute character-driven stories that illuminate the accomplishments of the Open Society Foundations Law and Health Initiative. Each video tells the personal story of a grantee's health and law initiative, while showcasing their dedication to empower their communities through access to health care.